The Wonder Bread Factory does more than sell bread, it tells a story. The year was 1940, and the family on S Street walked into the Wonder Bread Factory with bread on their brains and hunger in their stomachs. They waved to their neighbors, who were also there to buy bread and various Hostess Cake pastries, and they observed the beautiful brick holding up the building. After reading S Street Rising, a book that describes S Street’s poorer and more violent days, I was curious, and even a little bit nervous, about what I would see when I visited the area myself. I was definitely surprised. While I did see the same beautiful brick that families in the 1940s would have seen, I did not see any bread. I did not see families casually strolling into the factory; I saw young workers in business casual apparel entering a revamped building with graphic art on their walls, and various electronics in every corner. S Street has transformed into an urban masterpiece with colorful apartments, the Shaw-Howard Metro Stop seconds away, and several restaurants scattered around the surrounding area. 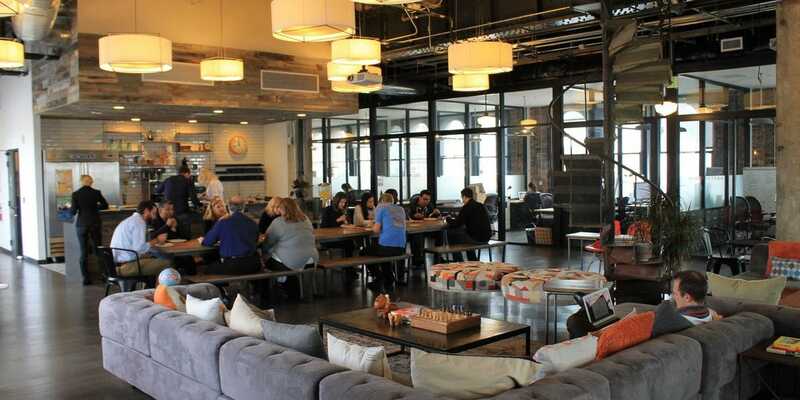 Additionally, the Wonder Bread Factory is now home to WeWork, a company dedicated to providing ambitious and inspiring entrepreneurs with office spaces. Over time, this building has developed into an “architectural gem successfully repurposed for 21st century economic needs and philosophical desires.” As society has changed, this location and WeWork has done everything they can to stay ahead. In this essay, I discuss how The Wonder Bread Factory and WeWork building is a reflection of the society and job market of their respective time periods and how its transformation is representative of broader societal change. 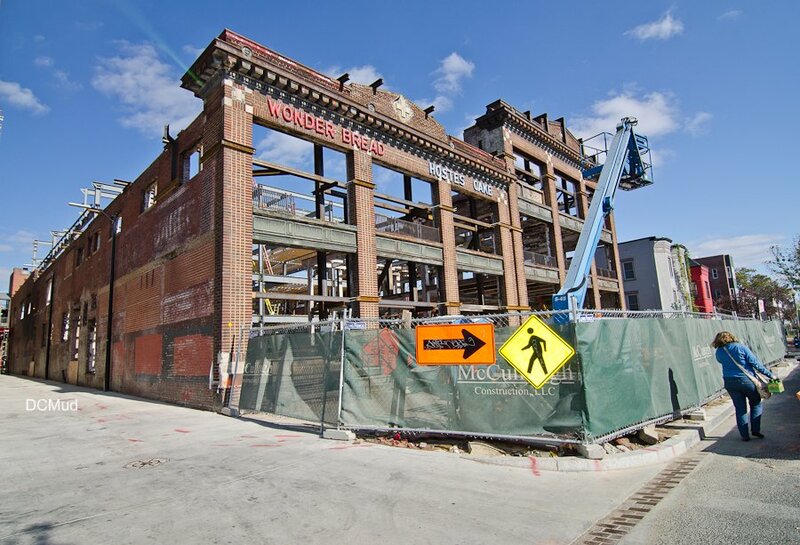 The Wonder Bread Factory symbolized the changing times on S Street in the 1900s and showcased the unity and sense of community within the people. S Street Rising by Ruben Castaneda tells the story of a broken Shaw neighborhood filled with prostitution, violence, and drugs (Castaneda). As I was reading, I imagined S Street as trash-filled, dirty, and sad. However, Ruben also described to readers the stories of New Community Church and Baldie. He told us how slowly but surely, the Shaw community connected over Jim’s love for God and healing. Even Baldie, a notorious drug dealer, would respect Jim’s mission and protect him and the church at all costs (Castaneda). In the beginning, S Street was described as broken and irreparable, but over time readers could feel hope begin to rise. No matter how bad their lives or the street was, they could always count on fresh, homemade bread. The factory was a safe space for the people on the street and they would find comfort in the food and each other. 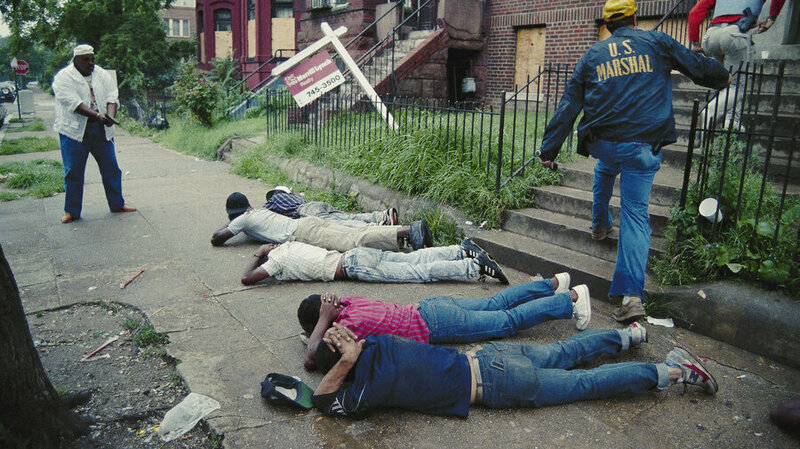 Castaneda depicted the area as drug-ridden and violent, but he failed to share with readers the happiness and sense of community the S Street citizens felt. The Wonder Bread Factory brought everyone together for one common goal: to eat some delicious bread. Not only did The Wonder Bread Factory unify the street through its products, but it also accurately reflected the evolving demographics in DC and the area. In the 1900s, DC’s demographics were constantly changing. According to Peter Tatian and Serena Lei, “in only two decades, the white population fell by over 300,000… DC became majority-black in the late 1950s.” This is not only accurate of the district, but also in S Street and Shaw. Additionally, this trend continued, based on data from the US Census, approximately 82% of the area was black while only 8% were white in 2000. As we can infer from the data, Shaw remained relatively consistent demographically for approximately forty-years. Families chose to stay despite the crime due to financial issues or what I believe was an attachment to the neighborhood they have watched grow their whole lives. Also, the area itself did not change much economically during this period, which gave residents no reason to leave either. However, in the late 1980’s and 90’s, Shaw began to change. It all began when The Wonder Bread Factory shut down in the 1980’s, and the building remained abandoned until it was purchased in 1997. In addition, the Shaw-Howard University Metro Station opened in 1991, allowing more individuals to enter the area and cause an increase of tourism and population. Also, 5,134 housing units were built in Shaw in the 2000s compared to 7,013 units that were established in 1939 or earlier. As a result, almost all of the units built in the early 90s were either replaced or expanded with the newer houses. The families and people who grew up in S Street were no longer surrounded by familiar spaces and scenes. The people and buildings around them were changing and the area was becoming more desirable for millennials and corporations. In 2010, the US Census shows that 33.1% of the population in Shaw were white, a 25.1% increase compared to 2000, while the black population decreased to 51.7%. 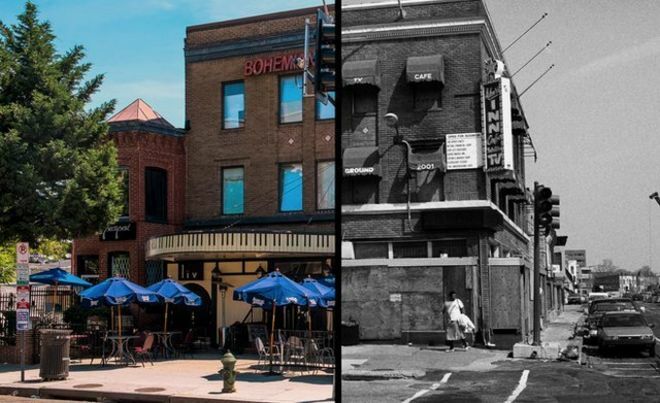 The black population went from a majority to nearly half and S Street was unrecognizable. The Wonder Bread Factory closing and repurchasing sparked a movement. When the Wonder Bread Factory was open, it was representative of the demographics and community. While it was abandoned, the area was evolving, and now the new owners, WeWork, showcase the current and future changes. Regardless of what the citizens may have wanted, there was no escaping renewing the street. However, as The Wonder Bread Factory shows, you can not escape the past. 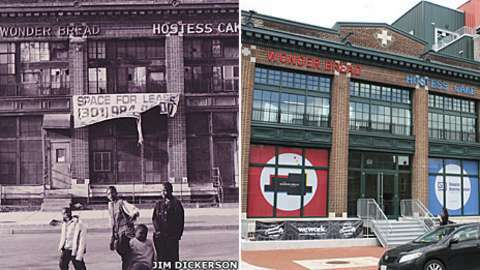 During reconstruction, the brick, Hostess Cake, and Wonder Bread signs all remained the same. They will always be reminders of the history of the city, and while it has changed exponentially, the history and memories they signify for many will never be taken from them. The WeWork building represents the influx of millennials into the evolving job force and in DC. As the country itself has been changing demographically, the workforce and businesses have been evolving with it. Businesses are not looking for the same skills and jobs that they did historically. The time for goods-making jobs has passed, and 86% of jobs in the United States today are based on offering services. Not only are the type of desirable careers changing, but the skills required by businesses are arguably more challenging. Low-skill based jobs are no longer increasing as rapidly, employment growth “was much higher among jobs that require average or above average social skills (83%).” However, these abilities are not typically taught in classrooms, capabilities “such as interpersonal, management and communication skills, and those that require higher levels of analytical skills (77%), such as critical thinking and computer skills” are exactly what employers are looking for. As a result, the transition of The Wonder Bread Factory into WeWork was exactly what the job market reflects. The Wonder Bread Factory was centered on making bread and providing goods, the exact industry that is now dying out. On the other hand, WeWork caters to entrepreneurs and freelancers, the precise career choices that millennials are attracted to and striving in. To explain, WeWork sells office spaces in their various buildings across the world. However, they are not your traditional spaces, they are filled with twenty-first century graphic art designs and structures — the layout many millennials dream of. Despite the myth that millennials are “lazy and entitled,” they are actually succeeding in the workforce more than ever before, and they believe now is the time to start their own businesses. WeWork recognized the “lack of creative space and creative environments” in DC, and set up shop on S Street, just in time for the young adults that are driving up DC’s population growth. WeWork has taken into consideration the evolving job force and skills, and they cater to the needs of the clients they believe their business model attracts. WeWork recognized that “the old business model is dead,” as Gary Mendel, the manager of WeWork in the renovated Wonder Bread Factory stated. Their consumers want easy access to public transportation, delicious restaurants nearby, full internet access and other forms of technology, and the potential to make connections with other freelancers. WeWork provides all of this and more. They have successfully established the perfect model and plan for the twenty-first century. In addition to WeWork catering to the changing workforce, they are also “building a community of creators” who inspire each other as well as the company itself. There is no other office space building where people can go to work every day with “lawyers, nonprofits, movie producers, political consultants, and a beef jerky brand.” Despite how different these jobs are, they have one thing in common: they want to belong to something. One WeWork customer states he has “200 business cards in a zip-lock bag since he started going to WeWork a few months ago.” These individuals go to work every day to do what they love and network with people who are just as passionate as they are. Together, they build their own community. Furthermore, it’s easy to be inspired at a building that is purposely designed to be as efficient as possible. According to Margaret Rhodes, “the layout of shared desks, the number of phones, the position of a given armchair—none of this is arbitrary.” There is not a single thing the architects and creators did not think of when designing these office spaces. Every detail is chosen meticulously and with their clientele in mind. Most importantly, all the choices the company makes are for the benefit of their current and potential clients. In order for WeWork to continue succeeding, they can not stop establishing their own separate communities where people are happy and inspired. Because as we all know sitting in this room, the world has changed completely. All these buildings that we look at, towers which are full of these soul-crushing acoustic ceilings, and crappy gray carpets, and draining environments with fluorescent lights—like, no one wants to work that way anymore. … It has nothing to do with the economy. It has nothing to do with anything other than humanity. WeWork wanted to create a much-needed community with modern office spaces that take advantage of all the twenty-first century has to offer. Their clients “network at weekly bagel-and-mimosa parties,” and “job referrals are made over the wagging tails of members’ dogs.” This is not an old and outdated company. One of WeWork‘s first investors stated, “Adam [WeWork co-founder] understood in a very serious way that we are in a new culture… I found it extraordinarily creative and original after being in this business for God knows how many years.” WeWork recognizes the importance of establishing communities, but they understand how people and companies need to adapt to societal changes or they will get lost in the past and no growth will be made. The second thing that has stuck with me was the talk Keith and I had the first time I visited The Wonder Bread Factory. Keith mentioned how the days of drugs and violence are long gone now and the location has certainly improved, but he emphasized that he felt something was missing. He struggled to expand on it further. I believe that Keith and other members of the street who have lived there for years, have not fully accepted the changes in the area. There are new stores, apartments, businesses, and people, but none of these developments can replace the old memories they all had. They have all personally remained the same, but their surroundings are different. Their Wonder Bread Factory, or community hub, is gone and replaced with a new community filled with young entrepreneurs aching to make a difference and alter even more of the world they know. The reality is, society, the job force, and even the skills workers need, are changing. People and companies like WeWork have accepted this and are taking advantage of this new culture. However, some individuals are still holding to the past and do not want to let go of places like the Wonder Bread Factory and the ways things used to be. There is no right or wrong answer, but people do need to understand that societal and cultural changes will not wait for anyone. Every individual will eventually have to make their own choice: do you fall behind or become a part of the revolution? Bort, Julie. “39 Ways the American Workforce Is Dramatically Changing in 2015.” Business Insider, Business Insider, 04 June 2015, www.businessinsider.com/39-ways-the-american-workforce-is-changing-2015-6/#eres-also-radical-change-going-on-in-the-tech-we-use-for-work-40. Accessed 03 Dec. 2016. This source focuses on the changing work force, but mostly on millennials and how they are not what some people may perceive them to be. Like another article I have, this one continues to mention how there are different skills jobs are looking for than in the past. People are looking more for more critical thinking and leadership skills rather than “unskilled jobs.” It also mentions how there are more workers in cities than ever before. However, what I mostly chose this article for is how they analyze millennials. This source provides data about millennials being the biggest population of workers starting this year, how they have different priorities than older workers, and they believe they can start their own company if their job does not work out. This information is crucial to my project. Brown, Anna. “Key Findings about the American Workforce and the Changing Job Market.” Pew Research Center, Pew Research, 06 Oct. 2016, www.pewresearch.org/fact-tank/2016/10/06/key-findings-about-the-american-workforce-and-the-changing-job-market/. Accessed 03 Dec. 2016.
changing. Businesses no longer desire low-skilled and good-making workers. They want people with solid social and critical thinking skills. Jobs are also looking for individuals with leadership abilities and a desire to challenge themselves. It also mentions how employment and wages have increased with these types of occupations as well. This article is an exhibit and argument source. I will use it to showcase WeWork workers have these changing skills while the Wonder Bread Factory had the skills of the past workers. Additionally, I will form arguments about how the companies do or do not consider this data when they build their business models. My other sources have stories about Wonder Bread and WeWork, but this article deals with data and the overall job market which is exactly what I needed. I plan to combine these two types of sources together to build a strong argument and show readers how WeWork is ahead of the game compared to most companies. Clabaugh, Jeff. “First Tenant for Wonder Bread Building.” Washington Business Journal, American City Business Journals, 20 June 2012, www.bizjournals.com/washington/news/2012/06/20/first-tenant-for-wonder-bread-building.html. Accessed 05 Oct. 2016. This source contains general and factual information about the building, and how Wonder Bread was the first to lease it after Douglas Development took ownership. It also provided additional information about the building’s past, and how the Dorsch’s White Cross Bakery were the initial owners. Additionally, the article mentions the size of the building and how they planned to construct and improve the interior. Overall, this source can be used as exhibit and background information. When it comes to factual evidence, this source does an excellent job of providing numerical data and historical information about the building. It provides the reader with basic information they would need to know. Additionally, the source could be analyzed by the reader. Readers could question why there is not more information about the building’s past. They could question the worth of the building, or why the authors did not include more about The Wonder Bread Factory company as a whole. For the most part, this source would be mostly used as background, however there is availability for analysis. IStrategyLabs. “The Wonder Bread Factory.” Douglas Development, Douglas Development, 2013, douglasdevelopment.com/case-studies/the-wonder-bread-factory/. Accessed 05 Oct. 2016. This article is focused on the history and planning of The Wonder Bread Factory, or previously, Hostess Cake. 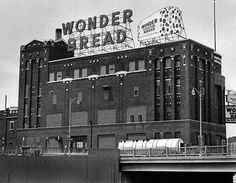 The article prioritizes more of Wonder Bread’s history than Hostess Cake, but it also mentions the building’s history. They state how the building was in very poor shape, and was completely abandoned and unusable. The construction team included additional floors, but wanted to maintain the character of the original building. Overall, the article could be more specific about the details of the Hostess Cake section of the building, but most buildings or developments do not have websites this focused on their history. This source’s sole purpose is for background information. It does an excellent job of describing the history and planning process of the building over the years. Also, it gives a great overview that will be useful to look back to when reviewing other sources. I can double check that my new sources will be in the correct era, and that they correlate with the building’s construction. This source is not useful for making arguments or as evidence, but it is solid background information. Konrad, Alex. “Inside The Phenomenal Rise Of WeWork.” Forbes, Forbes Magazine, 05 Nov. 2014, www.forbes.com/sites/alexkonrad/2014/11/05/the-rise-of-wework/#6706932828c1. Accessed 03 Dec. 2016. This article is about WeWork and how they have successfully become one of the most “modern” companies in the industry. It begins by mentioning the owners and how they stunned potential investors by showing their platform and how they are not just basic office spaces. While they are beautiful locations and workspaces, WeWork is much more than that. The article expands on this by describing how all of the workers use each other and their various businesses often end up needing each other. Most importantly, WeWork is refreshing, and unlike any business in the world. This article will be used as an exhibit. I will mostly analyze what the author is saying about the WeWork workers and business model. I’ll also mention how it shocked people in the industry that have been there for decades because of how transformative the CEO’s and workers aspire to be. This source works well with the other sites I have about WeWork‘s atmosphere, and the articles about the Wonder Bread Factory in the past. I plan to compare and contrast the two environments, and this article is perfect evidence for that. O’Connell, Jonathan. “Start-up Incubator WeWork Coming to Open in Wonder Bread Factory and Chinatown.” The Washington Post, WP Company, 17 Sept. 2013, www.washingtonpost.com/business/capitalbusiness/start-up-incubator-wework-coming-to-open-in-wonder-bread-factory-and-chinatown/2013/09/17/16707c58-1f32-11e3-94a2-6c66b668ea55_story.html?utm_term=.0955ce02ebff. Accessed 05 Oct. 2016. This article is about WeWork, the building right next to the Wonder Bread Factory, moving in and leasing the neighborhood building. WeWork owns shared work spaces for various companies and they also own buildings in other major cities such as New York and Los Angeles. The article also mentions how WeWork struggled to find unique and interesting buildings in DC that were up to their standards. They also hope that their new locations in DC will increase small businesses in the city. Overall, this article can be used as background and exhibit information. There is some background information about WeWork and their new locations. There is also some information about their style and building choices in the DC area. Additionally, WeWork described the DC buildings as dull and plain. While this can be used as background information, it can also be analyzed on how the DC area is architecturally. Also, WeWork chose the the neighboring building of my site due to its character and more interesting infrastructure. Both locations have almost identical structures which shows the beauty and uniqueness of my site compared to the rest of the city. This source is very useful for my built environment description both externally and internally because it shows how an outside company and perspective views my site. Rhodes, Margaret. “WeWork’s Radical Plan to Remake Real Estate With Code.” Wired, Conde Nast, 18 Mar. 2016, www.wired.com/2016/03/weworks-radical-plan-remake-real-estate-code/. Accessed 03 Dec. 2016. While the other WeWork articles dealt with the workers and owners, this one is more focused on their model. It goes into great detail about the spaces and how they fit in with more modern designs. It also analyzes all of the amenities the company offers that they create with their desired clientele in mind. The key difference between this article and the others is that it goes in-depth on the code the company uses to test out their spaces. Every printer, phone, and desk they add is chosen specifically with the future in mind which is crucial information for my essay. This article is an exhibit source. It provides evidence that the company considers the future and their clientele with every design and object they choose for the work spaces. Not only is this perfect for my essay, but it also works perfectly with the other sources. These three articles that specifically analyze WeWork all deal with varying components of the company. This one is crucial because it provides specific examples that show how the business does not randomly choose anything. They are revolutionary and use every skill possible to build and improve their overall model. Rice, Andrew. “Is This the Office of the Future or a $5 Billion Waste of Space?” Bloomberg.com, Bloomberg, 21 May 2015, www.bloomberg.com/news/features/2015-05-21/wework-real-estate-empire-or-shared-office-space-for-a-new-era-. Accessed 03 Dec. 2016. This source is another analysis of WeWork and how they have established their own spot in the business world. However, unlike the previous WeWork article this one also mentions the flaws of the business and where it could go poorly. This article also focuses more on the workers themselves and how they all feed off of eachother. Despite them all being different businesses, they still connect and use eachothers’ expertise and resources. Also, the source dives more into the CEO himself and how he took a risk by starting a completely new idea that could have completely failed in this market. Overall, this article goes very in depth on the company, its workers, and the creators. This source will be used as argument and exhibit. It provides several examples of how the workers work off of each other and how the CEOs always thought of the future and the current skill market. It also mentions millennials and how the company focuses on attracting them. Furthermore, I was going to dispute the claims the author makes about WeWork‘s potential flaws and how they are unlikely due to the current job market. Once again, this source works perfectly with the data I have about the job market and millennials specifically. Tatian, Peter, and Serena Lei. “Chapter 1: Demographics.” Washington, DC: Our Changing City, Urban Institute, apps.urban.org/features/OurChangingCity/demographics/#index. Accessed 03 Dec. 2016. This article is specifically about the shifting demographics in DC as a whole. It provides data that shows how the district has less black people, and more whites joining the city. Additionally, it provides an overview on how the city’s population is growing. There are more more millennials and less children moving in. Overall, the article is mostly data, but there is also good analysis and opinions for why there is a shift in population and demographics. This source is a background and exhibit source. It provided me with basic information towards how DC overall is right now. Also, I can use it as evidence to showcase how S Street, or where the Wonder Bread/WeWork building is, is reflective of the district as a whole. With the US Census data that I have for my locations zip code, I can use both of these sources to show the connections. WeWork. “Mission | WeWork.” WeWork, www.wework.com/mission. Accessed 21 Nov. 2016. This source, the WeWork mission statements and website, told me exactly what the company was all about. The site is filled with beautiful pictures of their various WeWork locations and makes me want to work in one myself. More importantly, the several inspirational quotes are crucial to bringing the entire site and company together. When I first saw this site, I knew exactly who and what WeWork represents. This source is used for background and exhibit. At first, it was mostly used for me to get more information about the company as a whole, and while it did achieve this, I was surprised by how much more this site provided me. It also showcases how modern the company aspires to be which relates to my overall argument. I plan on using the quotes from this site to format the site on my wordpress and the essay itself. This source also complements my other sources that describe WeWork‘s overall tone and it is the perfect addition to my project. Overall, this article about Ritchie Torres was extremely interesting. His background is inspiring, and his positive outlook on life is an attitude we all need to hear about at this time in history. As the country continues to divide, this quote helps us see the light at the end of the tunnel. Although millennials may not be completely in-sync with the rest of the country, I do feel as if we are unified together. When I talk to my mom, she tells my brothers and I, who are also millennials, that when she sees millennials on social media she feels her own sense of hope. We are all motivated to “change the world” as Torres says and see the world the way we dream it to be. This quote specifically stuck with me when I read the article because of how relatable it is. Although it sometimes feels like millennials are stuck with a negative stigma of not caring and laziness, I believe that notion is false, and Torres agrees. This article analyzes the television industry and how it has evolved substantially over time. At one point, television was used to strictly for entertainment. Television shows were easy-to-follow, the plots were simple, and the characters were predictable. However, this is not the case anymore. Characters are unpredictable, plots keep us guessing, and audiences need to focus for every second to understand what is happening. Television executives know this, and as the article states, they’re “condition[ing] our brains.” More and more people are getting hooked to these complex shows and they want as many of them as possible. Individuals want well-written and planned shows, and the media is catering to them. Every show that isn’t cancelled is carefully thought about from major executives. They need to be positive that they will make profits, and the more complicated shows are the ones that are kept. Throughout the entire election, we have seen the way Trump talks and the language he uses in his speeches and to the press. He uses very simple words and does not get very specific in anything he talks about. In this case, his words are so simple that if I did not know he was talking about climate change, I would have no idea what he is talking about. In the end of this phrase, he brings it back to other countries “eating our lunch” or hurting us in the business world. Trump uses these simple words to appeal to his voters. He wants most people to understand him, so he does not talk about complex subjects in specific detail. Additionally, most of his supporters want to “Make America Great Again” and go back to the way things were. Therefore, he brings it back to what his supporters care about, beating other countries. This phrase is a perfect example of Trump’s rhetoric and phrasing and how he purposely caters to his supporters and what they understand and want to hear. “[A]n education [. . .] that was designed to support a truly direct, deliberative democracy [. . .] would be an education oriented to the ‘strong publics’ of decision-making rather than the ‘weak publics’ of opinion formation” (205). Fleming makes interesting points in this quote about the education system and democracy working collaboratively. Neither of them can really be successful without the other. In this quote specifically, Fleming is emphasizing “decision-making” over “opinion formation.” Fleming desires the education system to be focusing on decision-making rather than opinion formation. Decision-making involves looking at the situation and the facts that surround it and making inferences or choices that involve all of those variables. On the other hand, opinion formation does not have to involve any of that. People can simply look at anything, and without facts, form opinions or thoughts. This is not a productive way to learn or work and live in a democracy. In college versus high school, I have found that I’m required to use more decision-making rather than opinion-formation. In high school, we were encouraged to form opinions and discussions often revolved around our opinions. However, looking back, those opinions were not always backed up by facts and reasonable observations based on the situation I was in. Fleming would have encouraged my fellow classmates and I to look at the reasons for why things were happening or what the aftermath would look like. Anybody can form an opinion, but looking at scenarios and making calculated observations or decisions based on them is a skill that everyone should learn and put into effect. 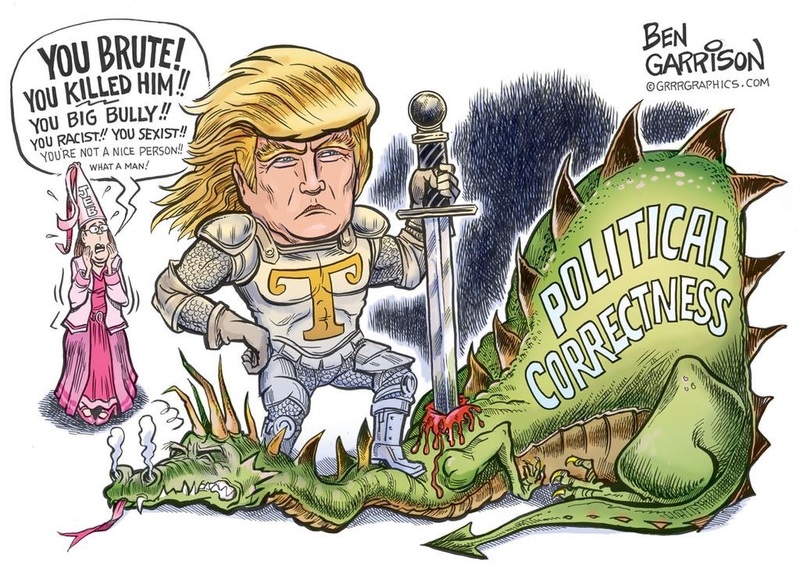 In his article “‘Political Correctness’ has become a code word for hate,” Larry Summers argues that Donald Trump and his campaign have transformed political correctness into a term of hatred that has resulted in violence and fear across the country. Summers believes that while previously the term was used to argue over the appropriateness of “Halloween costumes” and “sombrero parties,” it has now become much more than that. I agree with Summers that Trump’s rhetoric and his words towards marginalized groups have stepped over the line, and it is no longer up for debate on whether or not his lines are acceptable. Additionally, since he won the election, there has been “an upsurge” of “hateful incidents,” and Summers argues that this is an effect of Trump’s language and hateful speech. Moving forward, individuals need to acknowledge what political correctness truly means and discover how to prevent hateful words from turning into actions. Summers claims that Trump’s version of political correctness is used as an excuse for individuals to use offensive and hate-filled speech. Summers opens up by stating, “I will never again use the term ‘political correctness’” (Summers). This is crucial because he then continues to mention how he was once critical of the term and believed it was often overused or has “run amok” (Summers). This shows how Summers is not bias and must truly believe the meaning of the term has changed if he declares that he refuses to ever use it again. Furthermore, Trump has isolated and insulted women, people with disabilities, Muslims, and Mexicans with his words, and he has yet to condemn the KKK’s support for him (Summers). His words makes Summers and myself worried that people will infer that since the President-Elect can feel and say these things, that it is acceptable and excusable since it is associated with political correctness, and the President-Elect himself. If the President can say this, why can’t every citizen do the same? Summers does an excellent job analyzing why political correctness does not have the same definition that it use to, however he does not emphasize enough how this hateful language also becomes normalized. I have noticed in my own life how nobody seems to blink an eye anymore when they hear offensive language towards women or minorities; they simply make a reference to how we live in “Trump’s America” now. Individuals seem to be accepting this new way of life and language, and it makes me question how much more this hate will spread before more people begin taking a stand to stop it. 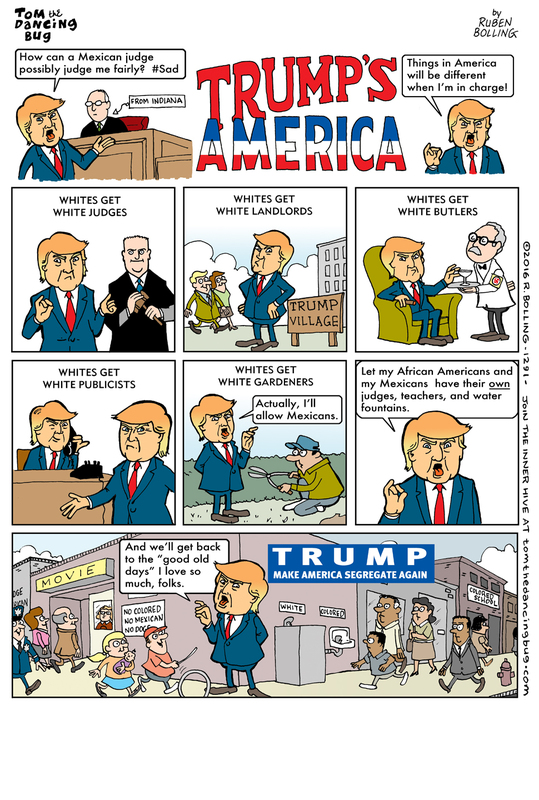 Another political cartoon, this time by Ruben Bolling, criticizing what Trump has said about minorities and comparing him to what “Trump’s America” might look like compared to the past. In addition to the harsh words spoken since the election results, Summers comments on the outbreak of hate crimes and the fear people have begun to feel for the present and the future. He states that women, African Americans, LGBTQ+, Muslim, Hispanic, and disabled students “fear that the basic security and acceptance on which they relied is at risk” (Summers). In my opinion, it is not surprising that individuals are in a constant state of fear when they realize how many people voted for someone who has said such shameful things. Additionally, Summers tells stories about his children’s’ schools; there have been swastikas painted on walls and “black freshmen were sent emails with pictures depicting lynchings” (Summers). These are no longer just words, but actions as well. It is scary what people are feeling and seeing and I have personally found it difficult to understand and sympathize with those who voted for President-Elect Trump. Summers explains it best by stating, “Winning an election does not entitle one to upend our basic values” (Summers). Furthermore, it is indisputable that Donald Trump will be inaugurated on January 20th, but there is no reason why every American should not be willing and ready to stand up towards the hatred that this country does not represent. As I entered the WeWork Wonder Bread Factory building, inspiration overtook me. I was surrounded by modern-graphic art, and young workers ready to take on the world. When I entered the WeWork Wonder Bread Factory website, I felt the same feeling as when I walked into the building itself. By simply being in the building, or on the website, I feel like I am apart of something revolutionary. This corporation does an excellent job of connecting all aspects of their company together. Instead of having separate or varying buildings and websites, they all complement each other to establish one brand. 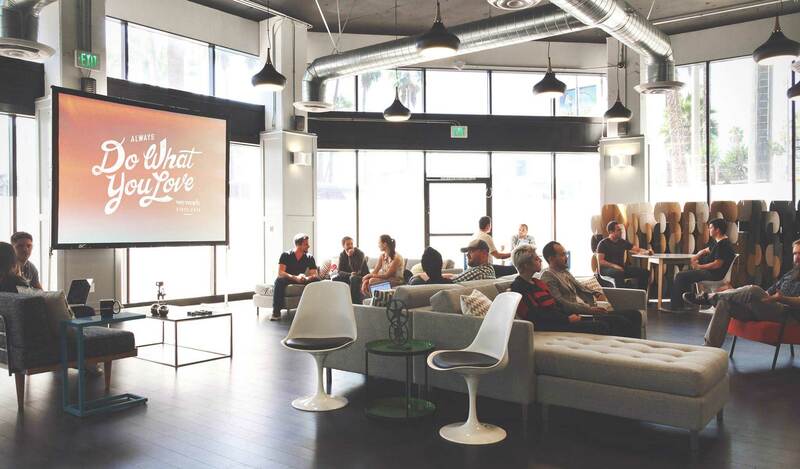 More specifically, the WeWork website’s user-friendly and modern design work together to attract the younger buyers that the company desires. The beautiful interior of the building. This shows how modern the building is and how different is is from the past. The WeWork site is filled with appealing graphics and an easy structure that will impress potential buyers. The site opens with beautiful pictures of the interior building; there are six different images of varying locations. Not only do the images accurately capture the sophisticated interior of the location, but they also impress visitors and potential buyers. 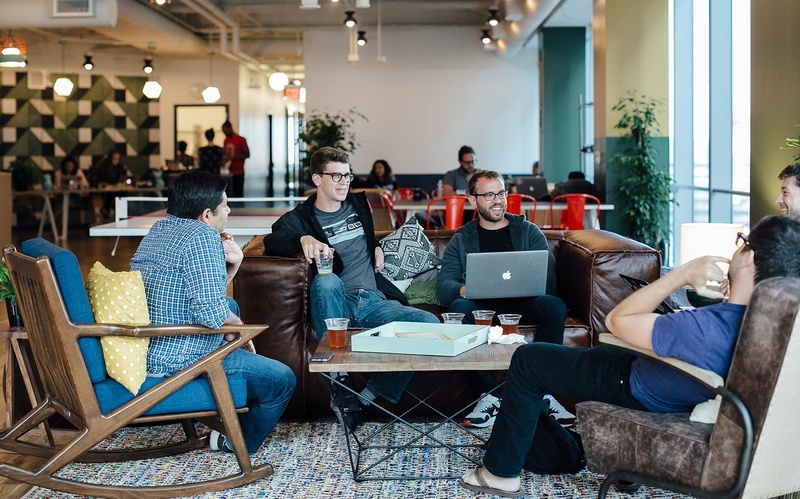 WeWork provides office spaces for any person or company to buy. However, beyond that they also have various amenities such as common areas, phone booths, onsite staff, coffee, printing, fruit water, and more (WeWork). This is not your typical business. 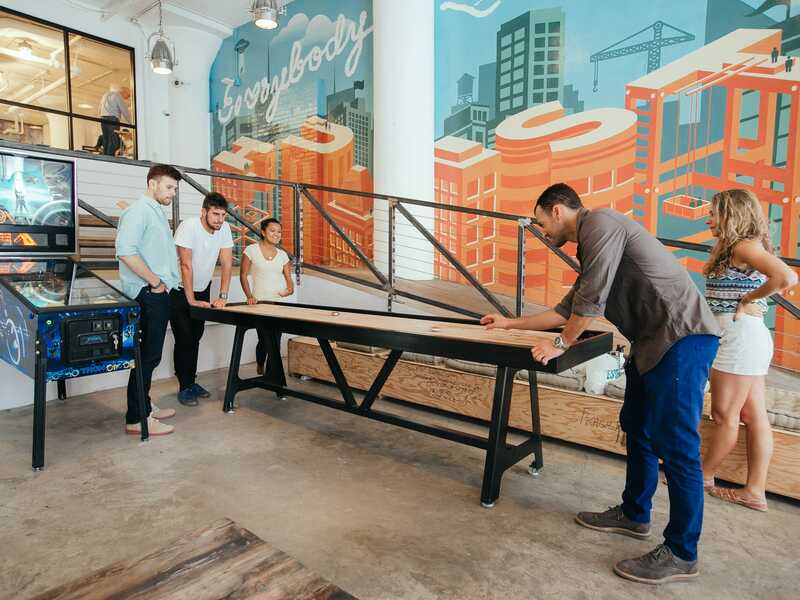 WeWork‘s goal is to provide people with their dream work space and based on their multiple locations across the country, they are succeeding (WeWork). Individuals who are looking to purchase office space would immediately lose interest in a website and location that did not have accurate or appealing pictures of the site. This is the top of the website, the picture of the staircase will continuously switch out with other pictures of the interior. On the left is also a form that will follow users as they scroll down the page. Next to the images there is a form to schedule a tour, and this form continues to stay on the left side of the page as you scroll down. Website users do not need to go back up to the top of the page to schedule anything. This function makes it very easy for people to schedule a visit. There are also no additional links needed to access different portions of this website; people do not need to leave the original page for any more information. Users only need to simply scroll down to get the office space prices and different building amenities. This function also matches the company’s physical location. Inside the building, it is easy to access everything. There is no confusion on where items are and WeWork knows this is appealing for their clientele. When people visit websites, they do not want to be bothered with complex designs nor do they want to get lost searching for information on the page. This website does not have these problems, which will immediately impress buyers because they do not have to go searching for the material and resources they need. Additionally, they may also make the connection that the website reflects the business itself, and will be more willing to purchase or visit the space. An easily functionable and appealing website combine to contribute to attracting the young, up-and-coming entrepreneurs that WeWork strives for. This website’s main purpose is for their office spaces to be purchased by those who share WeWork’s vision. Their site states, “We are creators, leaders, and self-starters. We try new things, we challenge convention, and we’re not afraid to fail” (WeWork). This statement is inspiring, especially for young individuals who are eager to begin their own business or career. Therefore, in order to hook these people, they must have a website that captures everything their business and office spaces represent. A younger audience will be more impressed with WeWork’s easy and appealing site. Since this younger generation has grown up with technology, they have higher expectations for websites and corporations. Additionally, now in the digital-age, buyers are looking for better graphic designs, and for websites to be as easy to use as possible. Old-fashioned and complicated sites are becoming extinct, and WeWork capitalizes on this fact. The WeWork Wonder Bread Factory building website goes above-and-beyond to attract potential customers, and based on my observations of their workforce, they are succeeding in luring in entrepreneurs who strive to change the world. From the second I walked into the Wonder Bread Factory, I was struck by its beauty. I expected to see old brick, and historic structures from the building’s older Dorsch’s White Cross Bakery days from 1913, but instead, I was surrounded by sophisticated graphic art designs, and complex objects. There is no question that the Wonder Bread Factory on 641 S St. NW is not the same building it was decades earlier. There are no longer flour-covered workers tossing dough and bread from one section of the kitchen to the other. They have been replaced with millennials in business suits conversing over coffee on beautiful wooden tables. The interior may have drastically changed, but I have the feeling that people are still accomplishing something special. The exterior of WeWork and the old Wonder Bread Factory. When WeWork, a company dedicated to providing office spaces, came to DC, they were motivated to find a location that would improve the “creative space” that was lacking in the city (O’Connell). The thirty-three thousand square foot building with “high ceilings, large glass windows, exposed brick and wood beams” was the exact space they were searching for (O’Connell). The building requires a keycard to enter, but guests can ring the doorbell for entrance. Once inside, there is a waiting area with decorative, seasonal pillows on two couches and a wooden table. There is also graphic art design on this portion of the walls, which is an interesting touch to include with the older brick. The seating area with various pillows and couches. Notice the older brick wall, graphic art, and beautiful natural light from the streets. Additionally, the architects certainly made use of the building’s space. Despite the extensive design, there is a giant lobby, and plenty of area to navigate between spaces. Behind the waiting area, there is WeWork’s own reading and book selection. Also, there are two secluded conference rooms and a kitchen for workers. The first conference room is seen immediately when entering, has a sign called, “The Green House,” and in it there are also various plants. In between the two conference rooms, there is a model RV, that holds additional couch seating for guests. The books, tables, and TV for staff to work with. The “Green Room” or first conference room seen when entering the building. The end of the lobby, more tables, and beautiful art. At the end of the spacious lobby, there are two beautiful, vibrant paintings that depict runners sprinting to the finish line. There is a long table in front of them as well. The entire interior is extremely colorful, but mostly contains navy blues and various shades of greens. A majority of the objects are wooden, and the space itself makes use of the building’s natural light. Despite how modern it looks, the building also kept the brick and high ceiling structures which complements the twenty-first century design. Here is the receptionist’s desk, as well as the large lobby and walking space, there is plenty of room to walk around from area to area. This is also an excellent picture of the building’s ceiling structure. The interior of the site felt revolutionary, and brought up feelings concerning change due to the atmosphere and mood of the décor. Previously, I talked to Keith, an older man who has lived across the street from the Wonder Bread Factory for several years. He described how customers and workers would toss various bread products to each other inside the factory. They would laugh and have a fun time together, while occasionally getting free bread out of it. As I was wandering around the current building, I pictured the sounds and images of these men working together. Now, individuals are tossing around various concepts for potential companies in the Wonder Bread Factory building. When I observed the area and the workers, I felt positive and hopeful energy. They loved what they were accomplishing, and most importantly, they were happy in their careers. Although I was disappointed at how different the location was from Keith described to me, I could not help but be amazed at how effortlessly things have changed. While it is important to cherish and remember the past, it is necessary to move on, and adapt to the changes in society surrounding us.